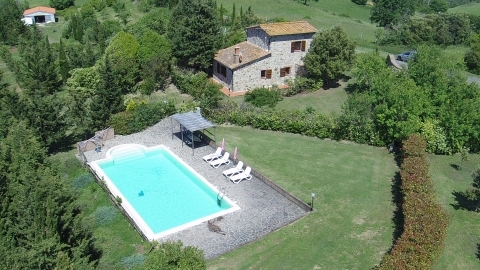 this villa is located in the picturesque hamlet of Iano, in the Province of Florence. 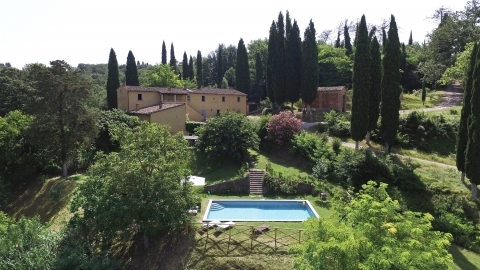 The ideal place for those keen to spend a relaxing holiday with friends or family in close contact with nature or for those keen to visit the many historical cities in this area, such as San Gimignano, Siena and Volterra. Recently-built property divided into three inter-connecting apartments, each tastefully furnished in a modern Tuscan style. The villa, built in perfect harmony with the natural environment, benefits from excellent views of the surrounding countryside ...The ideal location for a peaceful retreat in beautiful, unspoilt countryside and perfect for enjoying country walks and exploring the many places of historical and artistic interest nearby. Set in the rolling green Tuscany hills, Villa Castagneto is the perfect country retreat with all modern comforts and total tranquility. 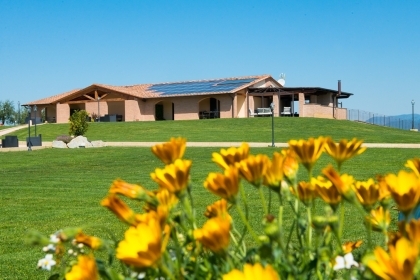 This historical farmhouse is part of a large, well-established biodynamic wine estate which exports worldwide and has been in the family for generations. Now a private home, it has been lovingly restored and updated with a mix of traditional furnishings and modern touches to give a sense of luxury. Only a short drive from several charming unspoilt villages, this villa is perfectly located for exploring the most famous cities of Tuscany.